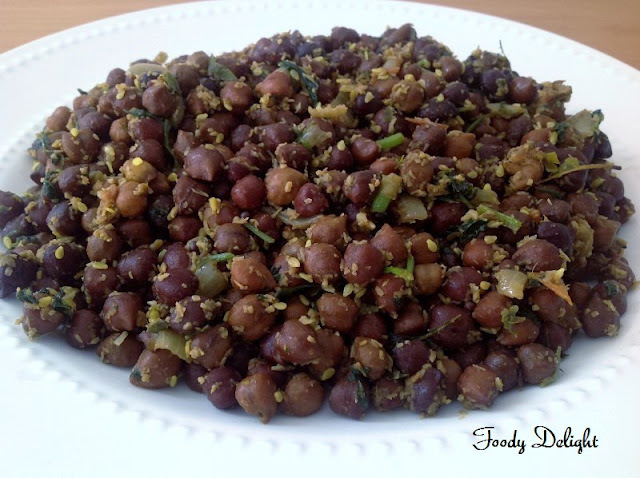 Kala chana usal is the most common and delicious snack of karnataka.This is served very commonly as prasad during pujas. Kala Chana is easy to make and tastes really nice as a snack or side dish in a main meal. The Chana is also an excellent source of protein. 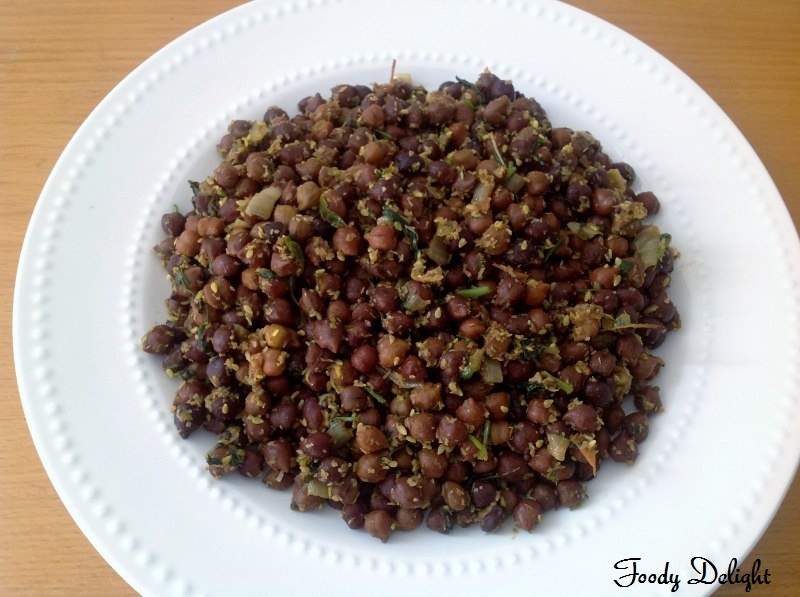 Soak the kala chana overnight or atleast 6 to 7 hours. Boil them into pressure cooker by adding water and pinch of salt. 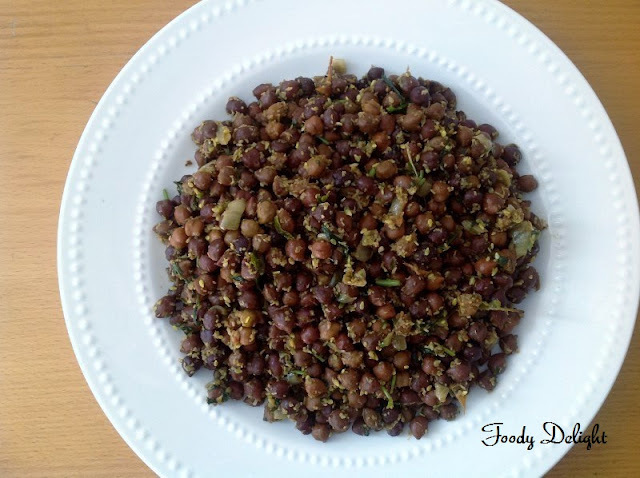 When cooked, Drain the water from the boiled chana. Keep it aside, in this recipe we are not going to use the water. We need only boiled chana, water can be used to prepare any other curry or else you can discard it. Finely chop the onion and ginger.Slit the chillies. Heat a pan on medium flame and add oil into it. When oil hets up, add mustard seeds and cumin seeds.Let it splutter for a minute. Then add asafoetida,curry leaves and sesame seeds.Stir well. Add chillies and chopped ginger.Fry for a minute. Then add onion and fry till they become soft. Add tumeric powder,cumin powder and garam masala.Mix well. Then add boiled chana and salt. stir well and cook for 5 minutes. Sprinkle dry coconut powder and some chopped cilantro. Hello Anisha... really you try it once,you will surely like it. Very delicious n yummy dry chana masala! Delicious snack,will surely try this..